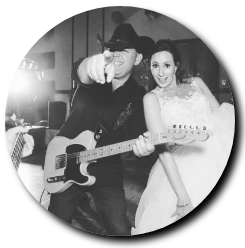 Searching for the Perfect Country Rock Dance Band for your Wyoming Wedding or Party? We are a full service band that can provide everything for your event: acoustic guitar or a PA system for a wedding ceremony, rehearsal dinner performance, and cocktail and dinner hour live music. We can even officiate your wedding! 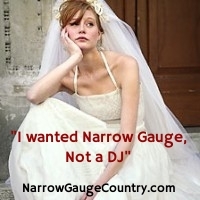 Of course, when it comes time to party and dance, there is no better band in Wyoming than Narrow Gauge! Narrow Gauge is the premier country rock dance band in Wyoming and we travel throughout the state. Whether your event is in Cheyenne, Laramie, Casper, Jackson, Gillette, Rock Springs, Sheridan, Riverton, Green River, or anywhere in -between, Narrow Gauge can perform for your party. We also travel throughout Colorado, New Mexico, Nebraska, South Dakota, and Texas. Check out the Top Ten Reasons People Hire Narrow Gauge.